Available in three sizes: Size 5 (50 mm tall and 120 mm wide), Size 9 (90 mm tall and 164 mm wide), and Size 13 (130 mm tall and 210 mm wide). Comes with anchor holes evenly pre-drilled, facilitating a strong, three-point anchor system. Build a better bike path with Zebra cycle lane separators! Zebra cycle lane separators by Zicla are a simple, no-fuss way to create bike lanes without having to rebuild existing roadways. They’re also ideal for designating pedestrian mediums and establishing bus-only lanes. Between their curved “hump” shape and their ridged surface, the unique design of the lane separators helps prevent cars from straying too close to pedestrians and cyclists, thus promoting better safety for everyone on the road. Transline offers cycle lane separators in standard colors approved by the Federal Highway Administration. Each piece is adorned with reflective, asymmetrical stripes. These markings make the separators extremely hard to miss in the light of day and (due to their reflective coating) also highly visible at night. Zebra line separators install quickly, require little maintenance, and resist most kinds of inclement weather. At the same time, they can be removed easily, making them a flexible, cost-efficient option for road design implementation—or even suitable for use on a temporary basis. 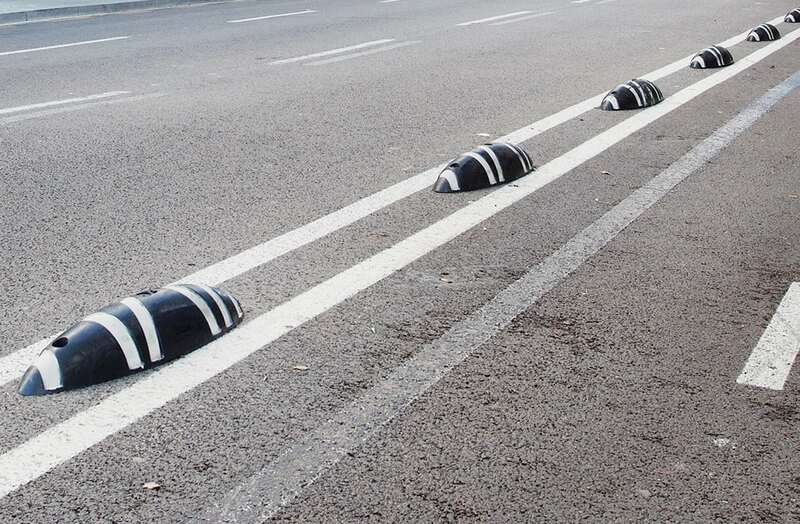 For the convenience of our customers, Transline is happy to host official documentation put out by the Zicla company regarding Zebra cycle lane separators. Follow the included links to learn more about this product, including detailed installation instructions. Depending upon available space, line separators can be installed parallel to traffic OR at a 30° angle pointing in the direction that cars are traveling. The stripes on each piece are asymmetrical, so please rotate the separators prior to installation in a way that will make the denser stripes more visible to oncoming cars. Innovative separator with reflective strips that give great visibility.